We’re into the second half of our top 100 Standard Dynasty Rankings. Whew. We’ve hit the halfway point. In today’s edition, we truly have some of the biggest young names in our game, including four rookies and a total of eight players who are 25 years old or younger. This talented group is absolutely packed with upside. Here is where you can add a player who in a year or two, is helping lead your team to dominance. Let’s begin the second half of our Standard Dynasty Rankings top 100! I find this grouping of players really exciting and with a ton of upside. I am unfortunately a Lions fan, but Marvin Jones does provide a lot of value at this point of the draft. He does rely on the big play, but in that offense, he has more opportunities to make it happen. Hopefully a respectable running game will open up the offense even more in 2018, allowing him more efficient opportunities. 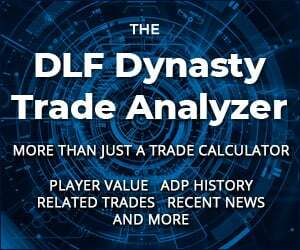 Off topic question, but does DLF have IDP rankings in a top 200 format? I am new to IDP, and in my league we are adding the IDP system to an existing league so it is a separate draft in year 1. I have the first overall pick, and have been torn on who to take. Any suggestions or places to look for information would be helpful! Thanks for the excellent content! Hey Jason, thanks for the comment! I too agree that Jones is an excellent target here. It’ll be very interesting to see how the Lions offense works with Kerryon coming to town. As for your IDP question: It looks like DLF offers individual player rankings, but not a composite 200. And from what I can find online, it doesn’t look like anybody else does either. That’s really unfortunate. I’m not much of an IDP guru, but if you have a twitter, I would reach out to @tomdegenerate . 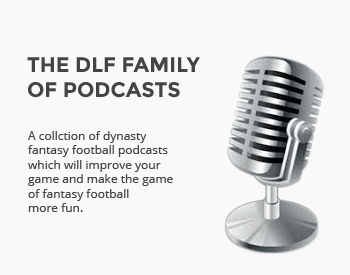 He’s a DLF guy, and should be able to answer your questions better than anybody. I hope this helps! Thanks for the comment, Jason!